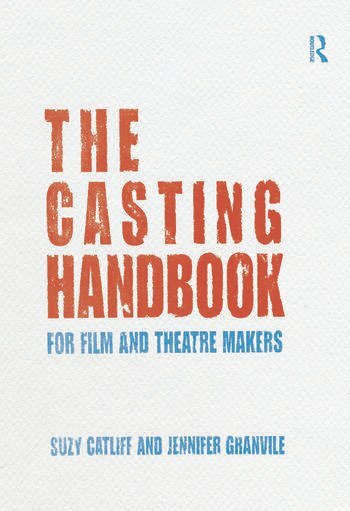 The Casting Handbook considers actors’, producers’, agents’ and directors’ relationship with a casting director, the day to day work that is casting, and how approaching it in a professional and informed manner can make the difference to the final product. Including interviews with actors, agents, directors, casting directors and producers; case studies; exercises; and a fact file of useful templates and contacts, this book offers a thorough induction into the casting process, suitable for students and early career professionals in any media. Suzy Catliff has a degree in Dramatic Arts from Bretton Hall, and worked in stage management before attending the directors’ course at Bristol Old Vic Theatre School. She assisted and directed in regional repertory theatres, before becoming casting assistant to Sarah Bird and Michelle Guish in the 1990's, working on 'Sense and Sensibility', 'The English Patient' and 'Wilde' as well as numerous other films, television series and dramas. Suzy was casting director for BBC 1's flagship drama 'Casualty' for three years amongst other TV and Film projects, including the award winning 'D-Day', 'Silent Witness', 'Sir Gadabout' and UK casting on two series of 'Primeval' for ITV. She is currently UK casting consultant for Shaftesbury Films. Suzy works in drama schools, universities and film schools as director, casting director and teacher. Jennifer Granville has worked as an actor in repertory & West End theatre, film and TV. Her screenplays have won the La Femme, 21st Century and Latino Screenwriting Competitions. Producing credits include: The Secret Songs of Butterfish, which won the Gold Plaque, Chicago Int. Film Festival and Special Jury Award at the New York Expo; On the Roof, a Fuji Award-winning short; The Real Fawlty Towers, for Anglia Television directed by Lindy Heymann and the experimental Winesburg, Ohio adapted from the Sherwood Anderson book of the same name. Her experimental screenplay, MSI: The Anatomy of Integers and Permutation,s, is currently being adapted into a graphic novel by Princeton University Press. She taught at the Ohio University School of Film in the USA and since 2005 has been Director of the Northern Film School at Leeds Metropolitan University.